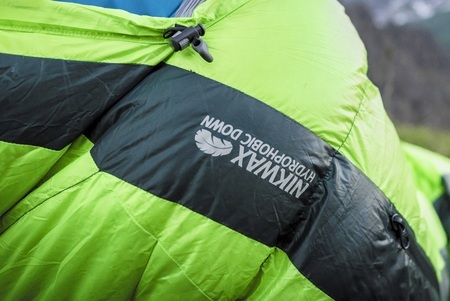 Nikwax Hydrophobic Down (NHD) is a technology designed to resist water. Individual down fibres are treated with Nikwax, meaning Nikwax Hydrophobic Down is 50x more water-repellent than conventional down. 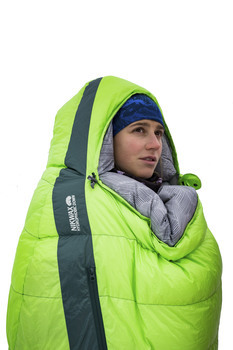 It maintains its ability to insulate you even after being shaken with water for 16 hours, extending the range of conditions in which you can use your favourite down clothing and gear. 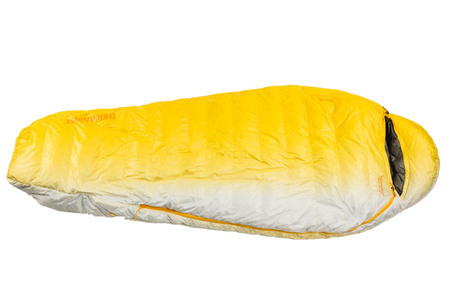 NHD technology is used by leading outdoor brands in down sleeping bags and jackets, including Rab, Berghaus, Alpkit, Sea to Summit, Mountain Hardwear and Therm-A-Rest. Look for NHD on the label. NHD is produced without PFCs or other environmentally persistent chemicals. Ein echter Fortschritt in der funktionellen Daunen-Technologie mit umweltfreundlicher Ausrüstung. Das Nikwax-Verfahren macht die Daune fünfzig Mal wasserabweisender als bekannte Daune.